ANAHEIM, CA (FEBRUARY 2, 2017) – Three juveniles and one adult have been arrested for a shooting that left two men with non-life threatening gunshot wounds in front of Gilbert High School Tuesday afternoon. The APD Gang Detail made the arrests Wednesday afternoon and served a series of search warrants related to the case. 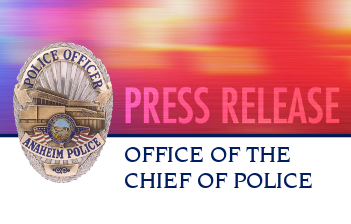 A 15 year old male has been arrested as the shooter and a 17 year old male and 17 year old female have been arrested as accomplices. Additionally, Cassandra Rivera, an 18 year old resident of Perris was also arrested as an accomplice. The case began Tuesday afternoon around 2:15 pm, when APD received multiple calls of shots fired with victims down in from of Gilbert High School. Responding officers found two males with non-life threatening gunshot wounds to their lower extremities. Witnesses reported seeing a male exit a vehicle and fire multiple rounds from a rifle at the victims as they walked in front of the school on Ball Rd. The suspect then returned to the vehicle and fled the scene. Neither of the victims were students at the school. The APD Gang Detail worked around the clock to identify the suspects and began making arrests Wednesday morning when Rivera was arrested without incident during a traffic stop. The juvenile suspects were arrested throughout the day without incident. The rifle suspected of being used in the crime was also recovered during the investigation. The OCSD North Gang Enforcement Team assisted in the investigation.